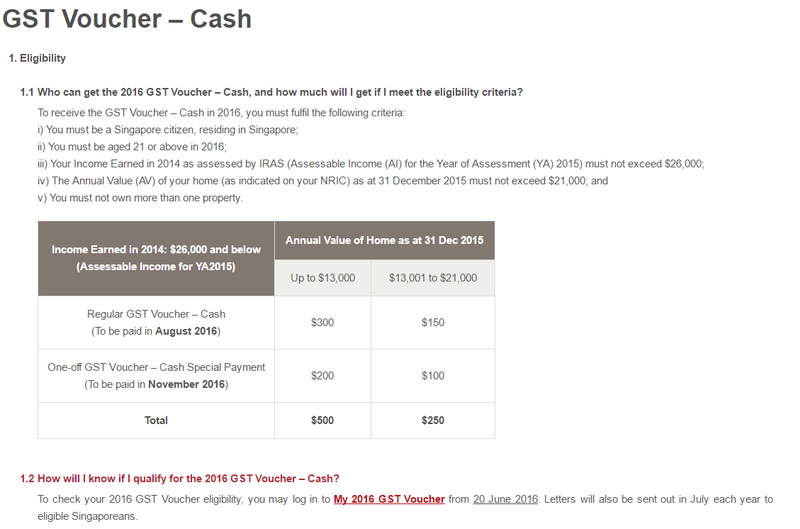 Come 20 June 2016, Singaporeans can check if they are eligible for the GST Voucher 2016 handout! 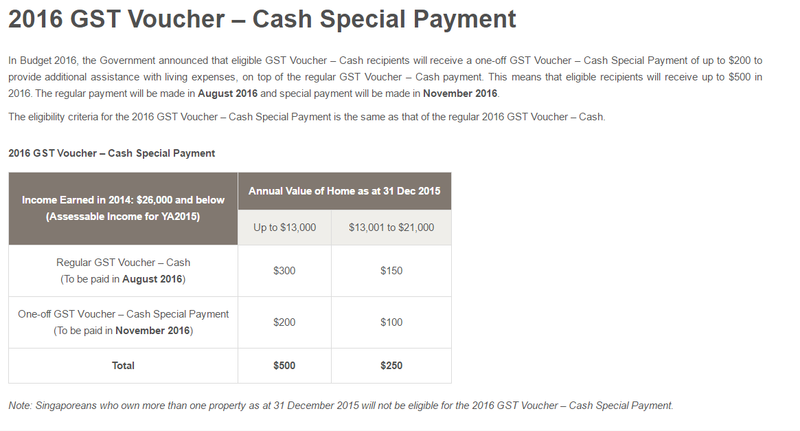 You can check it here: GSTVoucher2016. 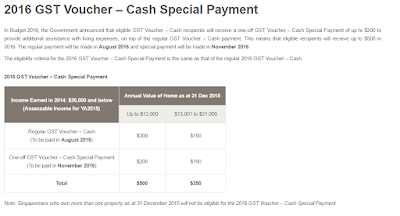 On top of the regular GST voucher, there is a one-off Cash Special Payment this year. I was surprised that I was eligible for it last year even before crossing my 21st birthday. I'm all hands up for handouts! I hope I am eligible again! Of course, it must be done with consideration for the country's wealth. I'm confident that the government has considered that. 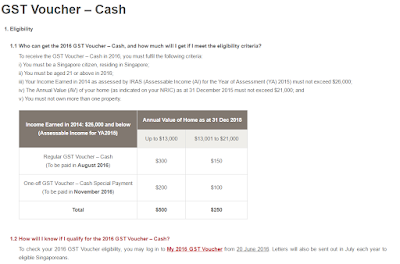 The additional one-off voucher (which will costs $280 million) will help Singaporeans a little more this year. I was searching for more info and I came across the article. He quipped that" if we spend some of these in our neighbourhood shops, it will support our local businesses as well! Gratitude for Mr Heng. I read that he was a good MP and his residents liked him. Hope he makes a full recovery and continue to contribute to Singapore. It's important not to cultivate a mindset where people expects handouts from the government to the point of not working even when they are physically able to do so. I think the government will continue to keep the trampoline in good condition to allow Singaporeans to bounce back up instead of a safety net which a few may fall through the cracks. I cannot remember which official talked about the trampoline, but yeah, it makes absolute sense.